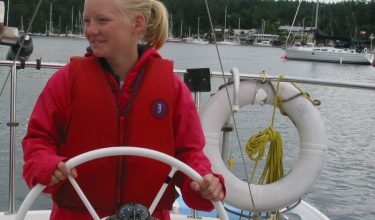 Sailing School: Why Start Yachting with Nanaimo Yacht Charters? 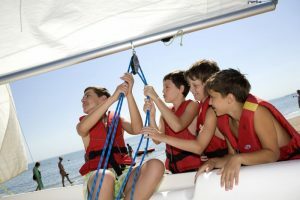 Sailing School: Why Start Yachting? To truly experience the spectacular beauty of Vancouver Island and the surrounding Gulf Islands, here is nothing quite like being on a sailboat, with the freedom of the seas, setting your own agenda and experiencing the wind and sails, and if you are a complete beginner with no yachting experience at all, then there is no reason why you can’t give it a go with a few days instruction at a sailing school. With us you can do a 3 day sailing course on the water (not necessarily consecutively) and 3 classroom evenings, in the stunning sailing area of Vancouver, which would give you the ability to cruise safely by day, in moderate wind and sea conditions, in familiar waters as both skipper and crew of a sailboat up to 10m. So why not give it a go, once the sun is on your face, the wind is in your hair and the hum of the yacht sailing below you….Contact us here at www.nanaimoyachtcharters.com and start sailing today!